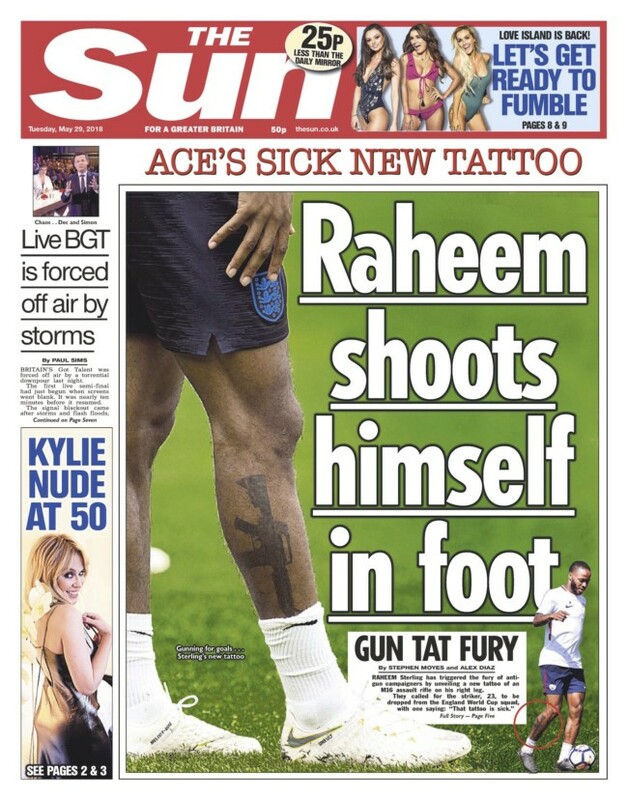 In a tribute to Jadon Sancho, the England and Borussia Dortmund winger, the Sun’s Martin Blackburn says Raheem Sterling might be “something of a role model” to the tyro. Writing in the Times, Henry Winter calls Sterling “a role model in a divided land crying out for them”. Watford’s Troy Deeney has no truck with footballers being pitched as role models to strangers, arguing that he’s a role model only to his kids. 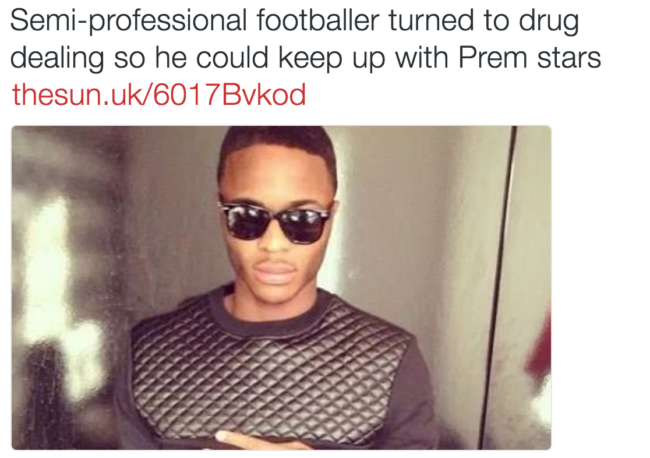 But this isn’t about Sterling’s talents, which are considerable, but how the press portrays him. 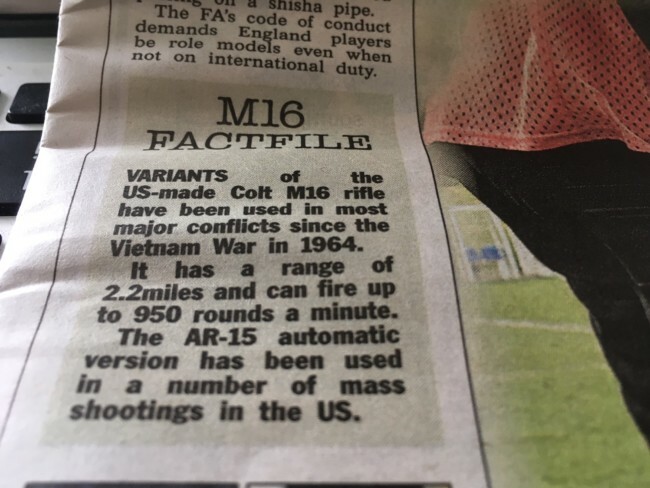 And the Sun has changed tact. Winter has called out the media’s bias towards Sterling, an intelligent, driven young black athlete on the receiving end of some monocular reporting. 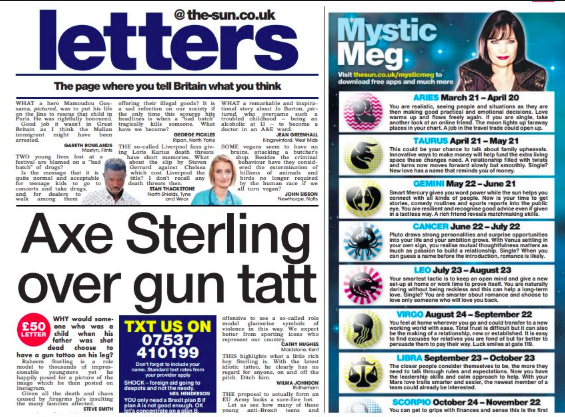 And the Sun has been accused of treating Sterling unfairly. Today the BBC reports the words of Spurs and England full-back Danny Rose, who says players were “over the moon” to see Raheem Sterling criticise the media’s portrayal of black players and says the winger was “spot on”. 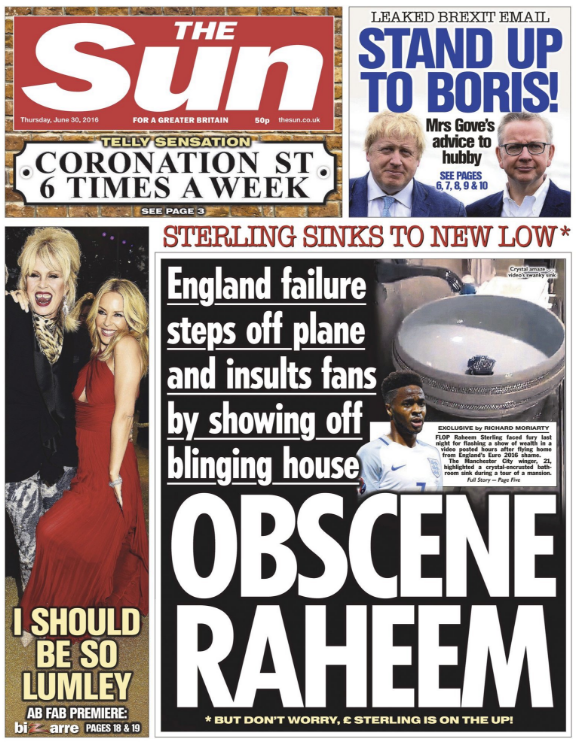 Sterling opined that newspapers helped “fuel racism” by the way they portray young black footballers. 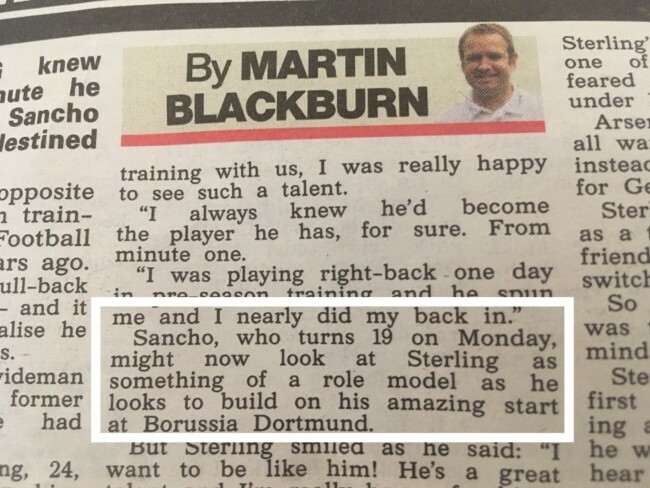 I’ve no interest in a footballer being a role model. I just want them to be brilliant and give their all when playing for my team and rubbish in a rival club’s shirt. Does what Wayne Rooney or Raheem Sterling do in their downtime fill a gap in your parenting skills? Simon Barnes summed it up well in The Times: “Football itself is neither disgusting nor admirable. It’s just a game, it doesn’t have any pretensions to be a moral force, for good or evil. That’s not its job.” Stop holding footballers up as an example to the slack-jawed masses, and stop making examples of them. Next week: why aren’t MPs role models?